When it is time to upgrade the appearance of your home, vinyl siding or fiber-cement siding are good choices. 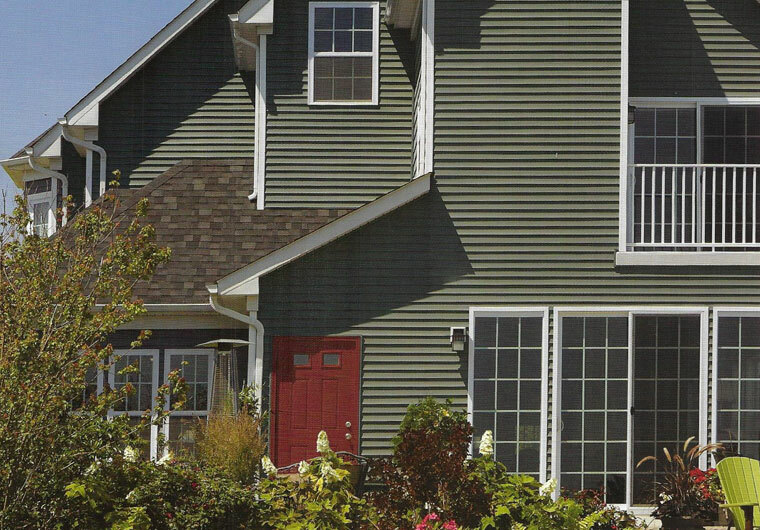 Vinyl siding comes in a variety of styles and colors, with matching or contrasting trim. Add shakes, dentil molding or keystones, and you have a ‘look’ that is uniquely yours. Pioneer installs high quality vinyl siding from manufacturers like Norandex, Certainteed, Mastic and Alside. Vinyl siding will make your home virtually maintenance free. Fiber-cement siding is a great option for those who prefer a painted surface. The siding boards are available in a primed or pre-painted finish. There are many pre-painted colors available, the primed boards can be painted any color you desire. The best advantage of fiber-cement siding is it Will Not Rot. No more repairs for deteriorated siding. Call us and we will show you our product lines from James Hardie and Certainteed Weatherboard. Thank you for considering Pioneer Exteriors. If you’re thinking of purchasing new vinyl siding or windows we think you owe it to yourself to consider Pioneer before you make a final buying decision. In this competitive and sometimes confusing industry, it is hard to decide with whom to do business. Talk to us and you will get straight answers to your questions. It is what you deserve! Our suggestions and estimates are always free. It is our job. We put the customer first. We know the rewards will follow.